If you have not yet registered for AMR 2017 now is the time! This year's show will be held from the 30th of March to the 2nd of April, at the New China International Exhibition Centre. The show is among the biggest in of its kind in the world with over 110 000sqm of exhibition space booked for this edition, and over 1200 exhibitors. 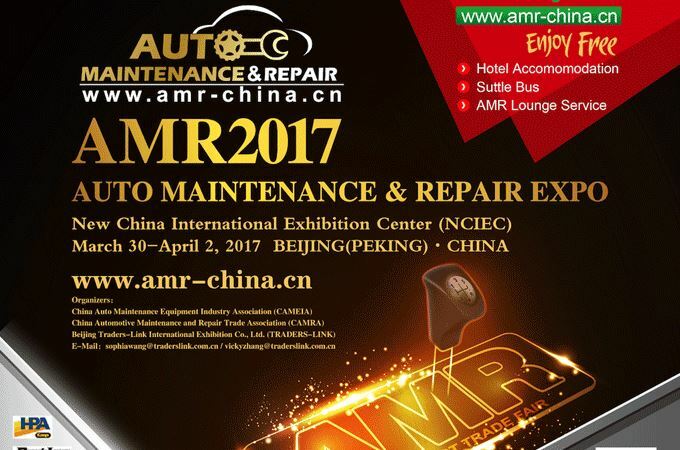 Through our association with the show organisers, AutoForum is happy to announce that sponsored accommodation for the show is offered to readers who pre-register on www.amr-china.cn. Remember that flight bookings, visa requirements and preparation all take a few days so get gong this week to experience this great show. You can contact the organisers Sophia or Vicky who are extremely helpful, and let them know you are fan AutoForum reader!